listet Prof. Dr. Rupert Menapace weltweit unter den Top-Fünf der Spezialisten für den Grauen Star. Cataract Surgical Problem: June consultation #1. 201: Leydolt C, Kriechbaum K, Schriefl S, Pachala M, Menapace R.
Posterior capsule opacification and neodymium:YAG rates with 2 single-piece hydrophobic acrylic intraocular lenses: three-year results. J Cataract Refract Surg. 2013 Dec;39(12):1886-92. J Cataract Refract Surg. 2013 Nov;39(11):1781-2. doi: 10.1016/j.jcrs.2013.08.022. 199: Leydolt C, Schriefl S, Stifter E, Haszcz A, Menapace R.
Am J Ophthalmol. 2013 Aug;156(2):375-381.e2. doi: 10.1016/j.ajo.2013.04.007. Epub 2013 May 13. 198: Schriefl SM, Stifter E, Menapace R.
Impact of low versus high fluidic settings on the efficacy and safety of phacoemulsification. 197: Leydolt C, Menapace R, Stifter EM, Prinz A, Neumayer T.
Effect of primary posterior continuous curvilinear capsulorrhexis with posterior optic buttonholing on pilocarpine-induced IOL shift. Cataract Surgical Problem: August consultation #1. J Cataract Refract Surg. 2012 Aug;38(8):1504-5. No abstract available. 195: Sipos E, Stifter E, Menapace R.
Patient satisfaction and postoperative pain with different postoperative therapy regimens after standardized cataract surgery: a randomized intraindividual comparison. Int Ophthalmol. 2011 Dec;31(6):453-60. Epub 2012 Jan 10. 194: Prinz A, Neumayer T, Buehl W, Vock L, Menapace R, Findl O, Georgopoulos M.
Rotational stability and posterior capsule opacification of a plate-haptic and an open-loop-haptic intraocular lens. J Cataract Refract Surg. 2011 Feb;37(2):251-7. Consultation section. Cataract surgical problem. 192: Stifter E, Menapace R, Kriechbaum K, Luksch A.
Posterior optic buttonholing prevents intraocular pressure peaks after cataract surgery with primary posterior capsulorhexis. J Cataract Refract Surg. 2009 Dec;35(12):2171-5. No abstract available. Consultation section: Cataract surgical problem. J Cataract Refract Surg. 2009 Aug;35(8):1474-8. No abstract available. After-cataract: final eradication in sight? Clin Experiment Ophthalmol. 2008 Dec;36(9):810-1. No abstract available. 187: Stifter E, Menapace R, Kriechbaum K, Vock L, Luksch A. Effect of primary posterior continuous curvilinear capsulorhexis with and without posterior optic buttonholing on postoperative anterior chamber flare. J Cataract Refract Surg. 2009 Mar;35(3):480-4. 186: Vock L, Menapace R, Stifter E, Georgopoulos M, Sacu S, BÃ¼hl W.
Posterior capsule opacification and neodymium:YAG laser capsulotomy rates with a round-edged silicone and a sharp-edged hydrophobic acrylic intraocular lens 10 years after surgery. J Cataract Refract Surg. 2009 Mar;35(3):459-65. Posterior capsule opacification in silicone and hydrophobic acrylic intraocular lenses with sharp-edge optics six years after surgery. Am J Ophthalmol. 2009 Apr;147(4):683-690.e2. Epub 2009 Feb 8. Efficacy and safety of capsular bending ring implantation to prevent posterior capsule opacification: three-year results of a randomized clinical trial. J Cataract Refract Surg. 2008 Aug;34(8):1318-28. Intraindividual comparison of color contrast sensitivity in patients with clear and blue-light-filtering intraocular lenses. J Cataract Refract Surg. 2008 May; 34(5): 769-73. Anterior chamber depth and change in axial intraocular lens position after cataract surgery with primary posterior capsulorhexis and posterior optic buttonholing. J Cataract Refract Surg. 2008 May; 34(5): 749-54. Macular morphology after cataract surgery with primary posterior capsulorhexis and posterior optic buttonholing. Am J Ophthalmol. 2008 Jul; 146(1): 15-22. Posterior capsulorhexis combined with optic buttonholing: an alternative to standard in-the-bag implantation of sharp-edged intraocular lenses? A critical analysis of 1000 consecutive cases. Graefes Arch Clin Exp Ophthalmol. 2008 Jun; 246(6): 787-801. Comparison of the effect of Viscoat and DuoVisc on postoperative intraocular pressure after small-incision cataract surgery. 177: Menapace RM, Vock L.
Reply: Advantage and disadvantage of posterior continuous curvilinear capsulorhexis. J Cataract Refract Surg. 2007 Dec;33(12): 2005-7. No abstract available. 176: Menapace R, Vock L.
Reply: Clinical effects of primary posterior continuous curvilinear capsulorhexis. J Cataract Refract Surg. 2007 Dec;33(12):2002-4. No abstract available. 175: Wirtitsch MG, Menapace R, Georgopoulos M, Rainer G, Buehl W, Heinzl H.
Intraocular pressure rise after primary posterior continuous curvilinear capsulorhexis with a fixed dorzolamide-timolol combination: randomized safety study with intraindividual comparison using an angulated and a nonangulated intraocular lens. J Cataract Refract Surg. 2007 Oct;33(10):1754-9. 174: Leydolt C, Davidovic S, Sacu S, Menapace R, Neumayer T, Prinz A, Buehl W, Findl O. Long-term effect of 1-piece and 3-piece hydrophobic acrylic intraocular lens on posterior capsule opacification: a randomized trial. 173: Stifter E, Luksch A, Menapace R.
Postoperative course of intraocular pressure after cataract surgery with combined primary posterior capsulorhexis and posterior optic buttonholing. J Cataract Refract Surg. 2007 Sep;33(9):1585-90. 172: Rainer G, Schmid KE, Findl O, Sacu S, Kiss B, Heinzl H, Menapace R.
Natural course of intraocular pressure after cataract surgery with sodium hyaluronate 1% versus hydroxypropylmethylcellulose 2%. 171: Stifter E, Menapace R, Luksch A, Neumayer T, Vock L, Sacu S.
Objective assessment of intraocular flare after cataract surgery with combined primary posterior capsulorhexis and posterior optic buttonholing in adults. Br J Ophthalmol. 2007 Nov;91(11):1481-4. Epub 2007 May 15. 170: Buehl W, Menapace R, Findl O, Neumayer T, Bolz M, Prinz A. Long-term effect of optic edge design in a silicone intraocular lens on posterior capsule opacification. Am J Ophthalmol. 2007 Jun;143(6):913-919. Epub 2007 Apr 2. 169: Vock L, Menapace R, Stifter E, Bühl W, Georgopoulos M.
Effect of primary posterior continuous curvilinear capsulorhexis on clinical performance of ACR6D SE single-piece hydrophilic acrylic intraocular lenses. J Cataract Refract Surg. 2007 Apr;33(4):628-34. Ophthalmologe. 2007 Apr;104(4):345-53; quiz 354-5. Review. German. Ophthalmologe. 2007 Mar;104(3):253-62; quiz 263-4. Review. German. 166: Vock L, Menapace R, Stifter E, Findl O, Georgopoulos M.
Clinical effects of primary posterior continuous curvilinear capsulorhexis in eyes with single-piece hydrophilic acrylic intraocular lenses with and without haptic angulation. J Cataract Refract Surg. 2007 Feb;33(2):258-64. 165: Stifter E, Menapace R.
"Instant vision" compared with postoperative patching: clinical evaluation and patient satisfaction after bilateral cataract surgery. Am J Ophthalmol. 2007 Mar;143(3):441-8. Epub 2006 Dec 19. 164: Menapace R, Di Nardo S.
Aspiration curette for anterior capsule polishing: laboratory and clinical evaluation. J Cataract Refract Surg. 2006 Dec;32(12):1997-2003. 163: Menapace R, Findl O, Kriechbaum K, Leydolt-Koeppl Ch. Accommodating intraocular lenses: a critical review of present and future concepts. Graefes Arch Clin Exp Ophthalmol. 2007 Apr;245(4):473-89. Epub 2006 Aug 30. 162: Bolz M, Menapace R, Findl O, Sacu S, Buehl W, Wirtitsch M, Leydolt C, Kriechbaum K.
Effect of anterior capsule polishing on the posterior capsule opacification-inhibiting properties of a sharp-edged, 3-piece, silicone intraocular lens: three- and 5-year results of a randomized trial. J Cataract Refract Surg. 2006 Sep;32(9):1513-20. 161: Lung S, Luksch A, Weigert G, Georgopoulos M, Menapace R, Polska E, Garhofer G, Findl O, Schmetterer L.
Influence of infusion volume on the ocular hemodynamic effects of peribulbar anesthesia. J Cataract Refract Surg. 2006 Sep;32(9):1509-12. Routine posterior optic buttonholing for eradication of posterior capsule opacification in adults: report of 500 consecutive cases. 159: Sacu S, Menapace R, Findl O. Effect of optic material and haptic design on anterior capsule opacification and capsulorrhexis contraction. Am J Ophthalmol. 2006 Mar;141(3):488-493. 158: Neumayer T, Findl O, Buehl W, Sacu S, Menapace R, Georgopoulos M.
Long-term changes in the morphology of posterior capsule opacification. J Cataract Refract Surg. 2005 Nov;31(11):2120-8. 157: Menapace R, Wirtitsch M, Findl O, Buehl W, Kriechbaum K, Sacu S.
Effect of anterior capsule polishing on posterior capsule opacification and neodymium:YAG capsulotomy rates: three-year randomized trial. J Cataract Refract Surg. 2005 Nov;31(11):2067-75. 156: Sacu S, Findl O, Menapace R, Buehl W.
Influence of optic edge design, optic material, and haptic design on capsular bend configuration. J Cataract Refract Surg. 2005 Oct;31(10):1888-94. 155: Rainer G, Menapace R, Schmid KE, Sacu S, Kiss B, Heinze G, Findl O. 154: Findl O, Buehl W, Menapace R, Sacu S, Georgopoulos M, Rainer G.
Long-term effect of sharp optic edges of a polymethyl methacrylate intraocular lens on posterior capsule opacification: a randomized trial. Ophthalmology. 2005 Nov;112(11):2004-8. Epub 2005 Sep 15. Pilocarpine-induced shift of an accommodating intraocular lens: AT-45 Crystalens. J Cataract Refract Surg. 2005 Jul;31(7):1290-7. 152: Buehl W, Findl O, Menapace R, Sacu S, Kriechbaum K, Koeppl C, Wirtitsch M.
Long-term effect of optic edge design in an acrylic intraocular lens on posterior capsule opacification. J Cataract Refract Surg. 2005 May;31(5):954-61. 151: Sacu S, Menapace R, Findl O, Kiss B, Buehl W, Georgopoulos M.
Long-term efficacy of adding a sharp posterior optic edge to a three-piece silicone intraocular lens on capsule opacification: five-year results of a randomized study. Am J Ophthalmol. 2005 Apr;139(4):696-703. 150: Kriechbaum K, Findl O, Koeppl C, Menapace R, Drexler W.
Stimulus-driven versus pilocarpine-induced biometric changes in pseudophakic eyes. 149: Findl O, Menapace R, Sacu S, Buehl W, Rainer G.
Effect of optic material on posterior capsule opacification in intraocular lenses with sharp-edge optics: randomized clinical trial. 148: Sacu S, Menapace R, Wirtitsch M, Buehl W, Rainer G, Findl O. Effect of anterior capsule polishing on fibrotic capsule opacification: three-year results. J Cataract Refract Surg. 2004 Nov;30(11):2322-7. 147: Sacu S, Findl O, Menapace R, Buehl W, Wirtitsch M.
Comparison of posterior capsule opacification between the 1-piece and 3-piece Acrysof intraocular lenses: two-year results of a randomized trial. 146: Sacu S, Menapace R, Buehl W, Rainer G, Findl O. Effect of intraocular lens optic edge design and material on fibrotic capsule opacification and capsulorhexis contraction. J Cataract Refract Surg. 2004 Sep;30(9):1875-82. 145: Buehl W, Menapace R, Sacu S, Kriechbaum K, Koeppl C, Wirtitsch M, Georgopoulos M, Findl O. Effect of a silicone intraocular lens with a sharp posterior optic edge on posterior capsule opacification. J Cataract Refract Surg. 2004 Aug;30(8):1661-7. 144: Findl O, Kriechbaum K, Menapace R, Koeppl C, Sacu S, Wirtitsch M, Buehl W, Drexler W.
Laserinterferometric assessment of pilocarpine-induced movement of an accommodating intraocular lens: a randomized trial. 143: Sacu S, Menapace R, Findl O, Georgopoulos M, Buehl W, Kriechbaum K, Rainer G.
Influence of optic edge design and anterior capsule polishing on posterior capsule fibrosis. J Cataract Refract Surg. 2004 Mar;30(3):658-62. 142: Petternel V, Menapace R, Findl O, Kiss B, Wirtitsch M, Rainer G, Drexler W.
Effect of optic edge design and haptic angulation on postoperative intraocular lens position change. J Cataract Refract Surg. 2004 Jan;30(1):52-7. 141: Wirtitsch MG, Findl O, Menapace R, Kriechbaum K, Koeppl C, Buehl W, Drexler W.
Effect of haptic design on change in axial lens position after cataract surgery. J Cataract Refract Surg. 2004 Jan;30(1):45-51. 140: Vass C, Menapace R.
Surgical strategies in patients with combined cataract and glaucoma. Curr Opin Ophthalmol. 2004 Feb;15(1):61-6. Review. 139: Koeppl C, Findl O, Kriechbaum K, Buehl W, Wirtitsch M, Menapace R, Drexler W.
Postoperative change in effective lens position of a 3-piece acrylic intraocular lens. J Cataract Refract Surg. 2003 Oct;29(10):1974-9. 138: Rainer G, Menapace R, Findl O, Sacu S, Schmid K, Petternel V, Kiss B, Georgopoulos M.
Effect of a fixed dorzolamide-timolol combination on intraocular pressure after small-incision cataract surgery with Viscoat. J Cataract Refract Surg. 2003 Sep;29(9):1748-52. 137: Georgopoulos M, Findl O, Menapace R, Buehl W, Wirtitsch M, Rainer G.
Influence of intraocular lens material on regeneratory posterior capsule opacification after neodymium:YAG laser capsulotomy. J Cataract Refract Surg. 2003 Aug;29(8):1560-5. Ségur-Eltz N, Sacu S, Menapace R.
Tumour regression of uveal melanoma after ruthenium-106 brachytherapy or stereotactic radiotherapy with gamma knife or linear accelerator. 135: Georgopoulos M, Menapace R, Findl O, Petternel V, Kiss B, Rainer G.
After-cataract in adults with primary posterior capsulorhexis: comparison of hydrogel and silicone intraocular lenses with round edges after 2 years. J Cataract Refract Surg. 2003 May;29(5):955-60. Corneal endothelial cell protection with a dispersive viscoelastic material and an irrigating solution during phacoemulsification: low-cost versus expensive combination. J Cataract Refract Surg. 2003 Apr;29(4):733-40. Intraocular lens movement caused by ciliary muscle contraction. J Cataract Refract Surg. 2003 Apr;29(4):669-76. 132: Findl O, Buehl W, Menapace R, Georgopoulos M, Rainer G, Siegl H, Kaider A, Pinz A. Comparison of 4 methods for quantifying posterior capsule opacification. J Cataract Refract Surg. 2003 Jan;29(1):106-11. 131: Findl O, Drexler W, Menapace R, Kiss B, Hitzenberger CK, Fercher AF. Optical biometry in cataract surgery. Dev Ophthalmol. 2002;34:131-40. No abstract available. 130: Buehl W, Findl O, Menapace R, Rainer G, Sacu S, Kiss B, Petternel V, Georgopoulos M.
Effect of an acrylic intraocular lens with a sharp posterior optic edge on posterior capsule opacification. J Cataract Refract Surg. 2002 Jul;28(7):1105-11. 129: Derbolav A, Vass C, Menapace R, Schmetterer K, Wedrich A. Long-term effect of phacoemulsification on intraocular pressure after trabeculectomy. J Cataract Refract Surg. 2002 Mar;28(3):425-30. 128: Sacu S, Findl O, Menapace R, Georgopoulos M, Buehl W, Rainer G.
Assessment of anterior capsule opacification: photographic technique and quantification. J Cataract Refract Surg. 2002 Feb;28(2):271-5. Reproducibility of standardized retroillumination photography for quantification of posterior capsule opacification. J Cataract Refract Surg. 2002 Feb;28(2):265-70. 126: Kiss B, Findl O, Menapace R, Wirtitsch M, Petternel V, Drexler W, Rainer G, Georgopoulos M, Hitzenberger CK, Fercher AF. Refractive outcome of cataract surgery using partial coherence interferometry and ultrasound biometry: clinical feasibility study of a commercial prototype II. J Cataract Refract Surg. 2002 Feb;28(2):230-4. Biometry of cataractous eyes using partial coherence interferometry: clinical feasibility study of a commercial prototype I.
J Cataract Refract Surg. 2002 Feb;28(2):224-9. 124: Nishi O, Nishi K, Menapace R, Akura J.
J Cataract Refract Surg. 2001 Sep;27(9):1359-65. 123: Rainer G, Menapace R, Findl O, Petternel V, Kiss B, Georgopoulos M.
Effect of topical brimonidine on intraocular pressure after small incision cataract surgery. J Cataract Refract Surg. 2001 Aug;27(8):1227-31. 122: Rainer G, Kiss B, Dallinger S, Findl O, Georgopoulos M, Vass C, Menapace R, Polak K, Eichler HG, Wolzt M, Schmetterer L.
A double masked placebo controlled study on the effect of nifedipine on optic nerve blood flow and visual field function in patients with open angle glaucoma. Br J Clin Pharmacol. 2001 Aug;52(2):210-2. 121: Findl O, Drexler W, Menapace R, Heinzl H, Hitzenberger CK, Fercher AF. Improved prediction of intraocular lens power using partial coherence interferometry. J Cataract Refract Surg. 2001 Jun;27(6):861-7. 120: Georgopoulos M, Menapace R, Findl O, Rainer G, Petternel V, Kiss B.
Posterior continuous curvilinear capsulorhexis with hydrogel and silicone intraocular lens implantation: development of capsulorhexis size and capsule opacification. J Cataract Refract Surg. 2001 Jun;27(6):825-32. 119: Rainer G, Menapace R, Findl O, Petternel V, Kiss B, Georgopoulos M.
Intraindividual comparison of the effects of a fixed dorzolamide-timolol combination and latanoprost on intraocular pressure after small incision cataract surgery. J Cataract Refract Surg. 2001 May;27(5):706-10. 118: Findl O, Menapace R, Georgopoulos M, Kiss B, Petternel V, Rainer G.
Morphological appearance and size of contact zones of piggyback intraocular lenses. J Cataract Refract Surg. 2001 Feb;27(2):219-23. 117: Rainer G, Menapace R, Findl O, Kiss B, Petternel V, Georgopoulos M, Schneider B.
Intraocular pressure rise after small incision cataract surgery: a randomised intraindividual comparison of two dispersive viscoelastic agents. Br J Ophthalmol. 2001 Feb;85(2):139-42. 116: Rainer G, Menapace R, Findl O, Georgopoulos M, Kiss B, Heinze G.
Randomised fellow eye comparison of the effectiveness of dorzolamide and apraclonidine on intraocular pressure following phacoemulsification cataract surgery. Eye. 2000 Oct;14 Pt 5:757-60. 115: Georgopoulos M, Vass C, El Menyawi I, Radda S, Graninger W, Menapace R.
In vitro diffusion of mitomycin-C into human sclera after episcleral application: impact of diffusion time. Exp Eye Res. 2000 Nov;71(5):453-7. 114: Menapace R, Findl O, Georgopoulos M, Rainer G, Vass C, Schmetterer K.
The capsular tension ring: designs, applications, and techniques. J Cataract Refract Surg. 2000 Jun;26(6):898-912. Review. 113: Zehetmayer M, Kitz K, Menapace R, Ertl A, Heinzl H, Ruhswurm I, Georgopoulos M, Dieckmann K, Pötter R.
Local tumor control and morbidity after one to three fractions of stereotactic external beam irradiation for uveal melanoma. 112: Findl O, Menapace R.
J Cataract Refract Surg. 2000 Mar;26(3):308-9. No abstract available. 111: Rainer G, Menapace R, Findl O, Georgopoulos M, Kiss B, Petternel V.
Intraocular pressure after small incision cataract surgery with Healon5 and Viscoat. J Cataract Refract Surg. 2000 Feb;26(2):271-6. 110: Vass C, Georgopoulos M, El Menyawi I, Radda S, Nimmerrichter P, Menapace R.
Intrascleral concentration vs depth profile of mitomycin-C after episcleral application: impact of irrigation. Exp Eye Res. 2000 Feb;70(2):139-43. 109: Rainer G, Menapace R, Schmetterer K, Findl O, Georgopoulos M, Vass C.
Effect of dorzolamide and latanoprost on intraocular pressure after small incision cataract surgery. J Cataract Refract Surg. 1999 Dec;25(12):1624-9. 108: Vass C, Menapace R, Schmetterer K, Findl O, Rainer G, Steineck I. Prediction of pseudophakic capsular bag diameter based on biometric variables. J Cataract Refract Surg. 1999 Oct;25(10):1376-81. 107: Rainer G, Menapace R, Vass C, Annen D, Findl O, Schmetterer K.
Corneal shape changes after temporal and superolateral 3.0 mm clear corneal incisions. J Cataract Refract Surg. 1999 Aug;25(8):1121-6. 106: Rainer G, Kiss B, Dallinger S, Menapace R, Findl O, Schmetterer K, Georgopoulos M, Schmetterer L.
Effect of small incision cataract surgery on ocular blood flow in cataract patients. J Cataract Refract Surg. 1999 Jul;25(7):964-8. 105: Findl O, Menapace R, Rainer G, Georgopoulos M.
Contact zone of piggyback acrylic intraocular lenses. J Cataract Refract Surg. 1999 Jun;25(6):860-2. 104: Findl O, Dallinger S, Menapace R, Rainer G, Georgopoulos M, Kiss B, Schmetterer L.
Effects of peribulbar anesthesia on ocular blood flow in patients undergoing cataract surgery. Am J Ophthalmol. 1999 Jun;127(6):645-9. 103: Findl O, Drexler W, Menapace R, Georgopoulos M, Rainer G, Hitzenberger CK, Fercher AF. Changes in intraocular lens position after neodymium: YAG capsulotomy. J Cataract Refract Surg. 1999 May;25(5):659-62. 102: Rainer G, Vass C, Menapace R, Papapanos P, Strenn K, Findl O. Long-term course of surgically induced astigmatism after a 5.0 mm sclerocorneal valve incision. J Cataract Refract Surg. 1998 Dec;24(12):1642-6. 101: Zehetmayer M, Schima W, Menapace R, Kitz K, Radner W, Dieckmann K.
Radio-opaque markers for stereotactic imaging of uveal melanoma. Br J Radiol. 1998 Jun;71(846):630-3. 100: Vass C, Menapace R, Rainer G, Findl O, Steineck I. Comparative study of corneal topographic changes after 3.0 mm beveled and hinged clear corneal incisions. J Cataract Refract Surg. 1998 Nov;24(11):1498-504. 99: Drexler W, Findl O, Menapace R, Rainer G, Vass C, Hitzenberger CK, Fercher AF. Partial coherence interferometry: a novel approach to biometry in cataract surgery. Am J Ophthalmol. 1998 Oct;126(4):524-34. 98: Nishi O, Nishi K, Menapace R.
Capsule-bending ring for the prevention of capsular opacification: a preliminary report. Ophthalmic Surg Lasers. 1998 Sep;29(9):749-53. 97: Vass C, Menapace R, Strenn K, Rainer G.
Episcleral versus combined episcleral and intrascleral application of mitomycin-C in trabeculectomy. Ophthalmic Surg Lasers. 1998 Sep;29(9):714-21. 96: Findl O, Drexler W, Menapace R, Bobr B, Bittermann S, Vass C, Rainer G, Hitzenberger CK, Fercher AF. Accurate determination of effective lens position and lens-capsule distance with 4 intraocular lenses. J Cataract Refract Surg. 1998 Aug;24(8):1094-8. 95: Findl O, Drexler W, Menapace R, Hitzenberger CK, Fercher AF. J Cataract Refract Surg. 1998 Aug;24(8):1087-93. 94: Menapace R, Wedrich A, Mühlbauer-Ries E, Strenn K, Vass C.
Phacotrabeculectomy with a small-optic PMMA implant: two-year functional and morphological results. 93: Horak F, Berger UE, Menapace R, Toth J, Stübner PU, Marks B.
Dose-dependent protection by azelastine eye drops against pollen-induced allergic conjunctivitis. A double-blind, placebo-controlled study. 92: Radner W, Menapace R, Zehetmayer M, Mudrich C, Mallinger R.
Ultrastructure of clear corneal incisions. Part II: Corneal trauma after lens implantation with the Microstaar injector system. J Cataract Refract Surg. 1998 Apr;24(4):493-7. 91: Radner W, Menapace R, Zehetmayer M, Mallinger R.
Ultrastructure of clear corneal incisions. Part I: Effect of keratomes and incision width on corneal trauma after lens implantation. J Cataract Refract Surg. 1998 Apr;24(4):487-92. 90: Strenn K, Matulla B, Wolzt M, Findl O, Bekes MC, Lamsfuss U, Graselli U, Rainer G, Menapace R, Eichler HG, Schmetterer L.
Reversal of endothelin-1-induced ocular hemodynamic effects by low-dose nifedipine in humans. Clin Pharmacol Ther. 1998 Jan;63(1):54-63. 89: Strenn K, Menapace R, Vass C.
Capsular bag shrinkage after implantation of an open-loop silicone lens and a poly(methyl methacrylate) capsule tension ring. J Cataract Refract Surg. 1997 Dec;23(10):1543-7. 88: Zehetmayer M, Rainer G, Turnheim K, Skorpik C, Menapace R.
Topical anesthesia with pH-adjusted versus standard lidocaine 4% for clear corneal cataract surgery. J Cataract Refract Surg. 1997 Nov;23(9):1390-3. 87: Findl O, Strenn K, Wolzt M, Menapace R, Vass C, Eichler HG, Schmetterer L.
Effects of changes in intraocular pressure on human ocular haemodynamics. Curr Eye Res. 1997 Oct;16(10):1024-9. 86: Vass C, Menapace R, Rainer G.
Corneal topographic changes after frown and straight sclerocorneal incisions. J Cataract Refract Surg. 1997 Jul-Aug;23(6):913-22. 85: Vass C, Menapace R, Rainer G, Schulz H.
Improved algorithm for statistical batch-by-batch analysis of corneal topographic data. J Cataract Refract Surg. 1997 Jul-Aug;23(6):903-12. 84: Wedrich A, Menapace R, Ries E, Polzer I.
Intracameral tissue plasminogen activator to treat severe fibrinous effusion after cataract surgery. J Cataract Refract Surg. 1997 Jul-Aug;23(6):873-7. 83: Strenn K, Menapace R, Rainer G, Findl O, Wolzt M, Schmetterer L.
Reproducibility and sensitivity of scanning laser Doppler flowmetry during graded changes in PO2. Br J Ophthalmol. 1997 May;81(5):360-4. 82: Rainer G, Menapace R, Vass C, Strenn K, Papapanos P.
Surgically induced astigmatism following a 4.0 mm sclerocorneal valve incision. J Cataract Refract Surg. 1997 Apr;23(3):358-64. 81: Zehetmayer M, Menapace R, Kitz K, Ertl A, Strenn K, Ruhswurm I.
Stereotactic irradiation of uveal melanoma with the Leksell gamma unit. Front Radiat Ther Oncol. 1997;30:47-55. No abstract available. 80: Menapace R, Vass C, Radax U, Strenn K.
Straight-entrance, sclerocorneal valve incision with horizontal sutures for poly(methyl methacrylate) intraocular lenses. J Cataract Refract Surg. 1996 Sep;22(7):882-90. 79: Horak F, Berger U, Menapace R, Schuster N.
Quantification of conjunctival vascular reaction by digital imaging. J Allergy Clin Immunol. 1996 Sep;98(3):495-500. 78: Zehetmayer M, Radax U, Skorpik C, Menapace R, Schemper M, Weghaupt H, Scholz U.
Topical versus peribulbar anesthesia in clear corneal cataract surgery. J Cataract Refract Surg. 1996 May;22(4):480-4. 77: Hagan JC 3rd, Menapace R, Radax U. Clinical syndrome of endocapsular hematoma: presentation of a collected series and review of the literature. J Cataract Refract Surg. 1996 Apr;22(3):379-84. Review. No abstract available. 76: Vass C, Menapace R, Amon M, Hirsch U, Yousef A.
Batch-by-batch analysis of topographic changes induced by sutured and sutureless clear corneal incisions. J Cataract Refract Surg. 1996 Apr;22(3):324-30. 75: Amon M, Menapace R, Radax U, Freyler H.
In vivo study of cell reactions on poly(methyl methacrylate) intraocular lenses with different surface properties. J Cataract Refract Surg. 1996;22 Suppl 1:825-9. 74: Wedrich A, Menapace R, Hirsch U, Papapanos P, Derbolav A, Ries E.
Comparison of results and complications following combined ECCE-trabeculectomy versus small-incision-trabeculectomy and posterior chamber lens implantation. Posterior capsule opacification and capsulotomy rates with taco-style hydrogel intraocular lenses. J Cataract Refract Surg. 1996;22 Suppl 2:1318-30. 72: Pfleger T, Skorpik C, Menapace R, Scholz U, Weghaupt H, Zehetmayer M.
Long-term course of induced astigmatism after clear corneal incision cataract surgery. J Cataract Refract Surg. 1996 Jan-Feb;22(1):72-7. Delayed iris prolapse with unsutured 5.1 mm clear corneal incisions. J Cataract Refract Surg. 1995 May;21(3):353-7. Evaluation of 35 consecutive SI-30 PhacoFlex lenses with high-refractive silicone optic implanted in the capsulorhexis bag. J Cataract Refract Surg. 1995 May;21(3):339-47. 69: Zehetmayer M, Menapace R, Kitz K, Ertl A. Experience with a suction fixation system for stereotactic radiosurgery of intraocular malignancies. Stereotact Funct Neurosurg. 1995;64 Suppl 1:80-6. 68: Wedrich A, Menapace R, Radax U, Papapanos P.
Long-term results of combined trabeculectomy and small incision cataract surgery. J Cataract Refract Surg. 1995 Jan;21(1):49-54. 67: Zehetmayer M, Menapace R, Kitz K, Ertl A.
Suction fixation system for stereotactic radiosurgery of intraocular malignancies. 66: Radax U, Menapace R.
Endocapsular hematoma with biconvex posterior chamber intraocular lenses. J Cataract Refract Surg. 1994 Nov;20(6):634-7. 65: Menapace R, Radax U, Amon M, Papapanos P.
64: Vass C, Menapace R.
Computerized statistical analysis of corneal topography for the evaluation of changes in corneal shape after surgery. Am J Ophthalmol. 1994 Aug 15;118(2):177-84. 63: Menapace R, Papapanos P, Radax U, Amon M.
Evaluation of 100 consecutive IOGEL 1003 foldable bag-style lenses implanted through a self-sealing tunnel incision. J Cataract Refract Surg. 1994 Jul;20(4):432-9. 62: Menapace R, Amon M, Papapanos P, Radax U. Evaluation of the first 100 consecutive PhacoFlex silicone lenses implanted in the bag through a self-sealing tunnel incision using the Prodigy inserter. J Cataract Refract Surg. 1994 May;20(3):299-309. 61: Menapace R, Papapanos P.
Klin Monatsbl Augenheilkd. 1994 Feb;204(2):111-20. German. 60: Zehetmayer M, Menapace R, Kitz K, Ertl A.
Suction attachment for stereotactic radiosurgery of intraocular malignancies. 59: Amon M, Menapace R, Radax U, Papapanos P.
Clinical results with three different kinds of small optic PMMA-IOLs. 58: Amon M, Menapace R.
In vivo documentation of cellular reactions on lens surfaces for assessing the biocompatibility of different intraocular implants. Eye. 1994;8 ( Pt 6):649-56. 57: Wedrich A, Menapace R, Stifter S.
The influence of the incision length on the early postoperative intraocular pressure following cataract surgery. 56: Wedrich A, Menapace R, Mühlbauer-Ries E.
The use of recombinant tissue plasminogen activator for intracameral fibrinolysis following cataract surgery. Temporary keratoprosthesis for transscleral fixation of posterior chamber intraocular lenses with penetrating keratoplasty. J Cataract Refract Surg. 1993 Nov;19(6):747-54. 54: Weghaupt H, Menapace R, Wedrich A.
Functional vision with hydrogel versus PMMA lens implants. Graefes Arch Clin Exp Ophthalmol. 1993 Aug;231(8):449-52. 53: Menapace R, Yalon M.
Exchange of IOGEL hydrogel one-piece foldable intraocular lens for bag-fixated J-loop poly(methyl methacrylate) intraocular lens. J Cataract Refract Surg. 1993 May;19(3):425-30. 52: Amon M, Menapace R.
Long-term results and biocompatibility of heparin-surface-modified intraocular lenses. J Cataract Refract Surg. 1993 Mar;19(2):258-62. 51: Skorpik C, Menapace R, Scholz U, Scheidel W, Grasl M.
Klin Monatsbl Augenheilkd. 1993 Jan;202(1):8-13. German. 50: Amon M, Menapace R.
Evaluation of a one-piece poly(methyl methacrylate) intraocular lens with a 7 mm biconvex optic and a total diameter of 10 mm. J Cataract Refract Surg. 1993 Jan;19(1):16-21. 49: Zehetmayer M, Menapace R, Kulnig W.
Combined local excision and brachytherapy with ruthenium-106 in the treatment of epibulbar malignancies. 48: Zehetmayer M, Menapace R.
Choroidal melanomas near the optic disk or macula. Long-term results after proton beam irradiation: a report of 3 cases. 47: Menapace R, Handl-Zeller E, Huber R, Zehetmayer M, Handl O. A warm-water perfusion plaque for hyperthermic treatment of intraocular tumors. 46: Wedrich A, Menapace R, Radax U, Papapanos P, Amon M.
Combined small-incision cataract surgery and trabeculectomy--technique and results. 45: Wedrich A, Menapace R.
Intraocular pressure following small-incision cataract surgery and polyHEMA posterior chamber lens implantation. A comparison between acetylcholine and carbachol. J Cataract Refract Surg. 1992 Sep;18(5):500-5. 44: Pfleger T, Menapace R, Amon M, Papapannos P.
43: Wedrich A, Menapace R.
Klin Monatsbl Augenheilkd. 1992 Jun;200(6):644-7. German. 42: Menapace R, Amon M, Radax U. Evaluation of 200 consecutive IOGEL 1103 capsular-bag lenses implanted through a small incision. J Cataract Refract Surg. 1992 May;18(3):252-64. 41: Amon M, Menapace R.
Klin Monatsbl Augenheilkd. 1992 Feb;200(2):95-100. German. 40: Menapace R, Binder W, Chiari A. Results and implications of high-resolution surface dosimetry of ruthenium-106 eye applicators. 39: Amon M, Menapace R, Papapanos P, Radax U.
Klin Monatsbl Augenheilkd. 1992 Jan;200(1):25-9. German. 38: Amon M, Menapace R.
In vivo observation of surface precipitates of 200 consecutive hydrogel intraocular lenses. 37: Amon M, Menapace R, Radax U, Papapanos P.
Endothelial cell density and corneal pachometry after no-stitch, small-incision cataract surgery. 36: Wedrich A, Menapace R.
Effect of acetylcholine on intraocular pressure following small-incision cataract surgery. 35: Wedrich A, Menapace R.
Effect of carbachol on intraocular pressure in small-incision cataract surgery. 34: Papapanos P, Wedrich A, Pfleger T, Menapace R.
Induced astigmatism following small incision cataract surgery combined with trabeculectomy. 33: Amon M, Menapace R.
Cellular invasion on hydrogel and poly(methyl methacrylate) implants. An in vivo study. J Cataract Refract Surg. 1991 Nov;17(6):774-9. 32: Amon M, Menapace R, Scheidel W.
Results of corneal pachymetry after small-incision hydrogel lens implantation and scleral-step incision poly(methyl methacrylate) lens implantation following phacoemulsification. J Cataract Refract Surg. 1991 Jul;17(4):466-70. Fortschr Ophthalmol. 1991;88(5):421-8. Review. German. 30: Binder W, Menapace R, Seitz W.
Strahlenther Onkol. 1990 Oct;166(10):639-42. German. 29: Menapace R, Skorpik C, Wedrich A. Evaluation of 150 consecutive cases of poly HEMA posterior chamber lenses implanted in the bag using a small-incision technique. 28: Menapace R, Skorpik C, Grasl M.
Modified triple procedure using a temporary keratoprosthesis for closed-system, small-incision cataract surgery. J Cataract Refract Surg. 1990 Mar;16(2):230-4. 27: Amon M, Menapace R, Radax U, Wedrich A, Skorpik C.
Long-term follow-up of argon laser trabeculoplasty in uncontrolled primary open-angle glaucoma. A study with standardized extensive preoperative treatment. 26: Amon M, Menapace R, Kirnbauer R.
Ocular symptomatology in familial hypomelanosis Ito. Incontinentia pigmenti achromians. Klin Monatsbl Augenheilkd. 1990 Jan;196(1):40-2. German. 24: Menapace R, Skorpik C.
Klin Monatsbl Augenheilkd. 1989 Dec;195(6):349-52. German. 23: Kulnig W, Menapace R, Skorpik C, Juchem M.
Tissue reaction after silicone and poly(methyl methacrylate) intraocular lens implantation: a light and electron microscopy study in a rabbit model. 22: Menapace R, Skorpik C, Juchem M, Scheidel W, Schranz R.
Evaluation of the first 60 cases of poly HEMA posterior chamber lenses implanted in the sulcus. J Cataract Refract Surg. 1989 May;15(3):264-71. 21: Skorpik C, Menapace R, Gnad HD, Paroussis P.
Silicone oil implantation in penetrating injuries complicated by PVR. Results from 1982 to 1986. 20: Menapace R, Binder W, Skorpik C, Gnad HD. Assessment of echographic regression criteria in ruthenium-irradiated melanoma. 19: Freyler H, Novack GD, Menapace R, Skorpik C, Mordaunt J, Batoosingh AL. Klin Monatsbl Augenheilkd. 1988 Sep;193(3):257-60. German. 18: Skorpik C, Menapace R, Gnad HD, Grasl M.
The triple procedure--results in cataract patients with corneal opacity. 17: Skorpik C, Menapace R, Gnad HD, Grasl M, Scheidel W.
Evaluation of 50 silicone posterior chamber lens implantations. J Cataract Refract Surg. 1987 Nov;13(6):640-3. 16: Kulnig W, Menapace R, Skorpik C, Juchem M.
Optical resolution of silicone and polymethylmethacrylate intraocular lenses. J Cataract Refract Surg. 1987 Nov;13(6):635-9. 15: Menapace R, Skorpik C, Juchem M, Kulnig W.
Clinicopathologic findings after in-the-bag implantation of open-loop polymethylmethacrylate and silicone lenses in the rabbit eye. J Cataract Refract Surg. 1987 Nov;13(6):630-4. 14: Skorpik C, Gnad HD, Menapace R, Paroussis P.
Klin Monatsbl Augenheilkd. 1987 Aug;191(2):113-5. German. 13: Binder S, Skorpik C, Paroussis P, Kulnig W, Menapace R, Prokesch E.
High-energy electrons used to inhibit experimental intraocular proliferation and detachment. 12: Skorpik C, Gnad HD, Paroussis P, Menapace R.
Trabeculectomy and intraocular lens implantation: a combined procedure. J Cataract Refract Surg. 1987 Jan;13(1):39-42. 11: Skorpik C, Menapace R, Hienert I, Gnad HD, Paroussis P.
Fortschr Ophthalmol. 1987;84(6):600-2. German. No abstract available. 10: Gnad HD, Skorpik C, Paroussis P, Menapace R, Kulnig W.
Fortschr Ophthalmol. 1987;84(5):462-4. German. No abstract available. 9: Gnad H, Skorpik C, Paroussis P, Menapace R, Radda TM, Prskavec FH, Grasl M.
Klin Monatsbl Augenheilkd. 1986 Nov;189(5):388-90. German. 8: Skorpik C, Menapace R, Gnad HD, Martinez RM, Paroussis P.
Klin Monatsbl Augenheilkd. 1986 Apr;188(4):288-90. German. 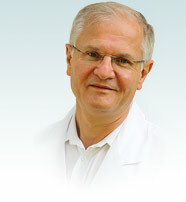 7: Klemen UM, Frey C, Prskavec FH, Menapace R.
Fortschr Ophthalmol. 1986;83(1):136-7. German. No abstract available. 6: Menapace R, Binder W.
Klin Monatsbl Augenheilkd. 1985 Nov;187(5):451-4. German. 5: Gelvez de Martinez RM, Menapace R, Gnad HD. Klin Monatsbl Augenheilkd. 1985 Nov;187(5):356-8. German. 4: Menapace R, Trauner H.
Klin Monatsbl Augenheilkd. 1985 Nov;187(5):348-50. German. 3: Gnad HD, Skorpik C, Radda TM, Paroussis P, Menapace R, Klemen UM. Klin Monatsbl Augenheilkd. 1985 Nov;187(5):398-400. German. 2: Menapace R, Trauner H.
Klin Monatsbl Augenheilkd. 1985 Oct;187(4):303-6. German. 1: Menapace RM, Gnad HD, Heckenthaler W.
Klin Monatsbl Augenheilkd. 1983 Jun;182(6):560-4. German. 166. Schriefl S, Leydolt C, Stifter E, Menapace R.
Bilaterale Kataraktchirurgie in 1 Sitzung: Sinnvolle Routine oder unnötiges Risiko? Kritische Beurteilung vor dem Hintergrund eigener Erfahrung mit 1500 konsekutiven PatientInnen. 164. Leydolt C, Kriechbaum K, Schriefl SM, Pachala M, Menapace R.
Vergleich der Nachstar- und YAG-Kapsulotomieraten zwischen der Technis ZCB00 und der Acrysof SA60AT einstückigen hydrophoben Akryl-Intraokularlinse. 163. Schriefl SM, Leydolt C, Stifter E, Menapace R.
Prospektive Vergleichsstudie der Nachstarentwicklung zweier unterschiedlicher Mikroinzisionslinsen. Strategies for correction of IOL power errors. Stabilität der Vorderkammer: Probleme und Lösungen. 159. Menapace R., Scmelzenbart E.
5 Jahre Augentagsklinik für Kataraktchirurgie am AKH in Wien. Beidseitige Kataraktoperation in einer Sitzung als Routine an der Augentagesklinik am AKH in Wien. 157. Hoffmann P., Menapace R.
Improvement of second eye surgeryby individual selection of the IOL formula. Sharp-edged IOLs: Silicone IOLs have better long-term PCP performance than hydrophobic IOLs. Mikroinzisionschirurgie: Ist Sie heute schon routinetauglich? Die Kataraktoperation 60 Jahre nach Ridley. Entwicklungen zur koaxialen Mikrophakoemulsifikation (CO-MICS). Mini- and microincision cataract surgery: a critical review of current technologies. Die Kataraktoperation im Wandel der Zeit. Zwei Jahre Augentagesklinik für Kataraktchirurgie am AKH Wien. 149. Menapace R, Di Nardo S.
How to better use fluidics with MICS. Jüngste Fortschritte auf dem Gebiet der "Koaxialen Mikrophakoemulsifikation": Oertli CO-MICS 2 Spitze und HOYA Y-60H Mikroinzisionslinse. Magnet-Driven Active Shift-IOL to Restore Accommodation. 145. Menapace R, Reich M, Schmelzenbart E, Schmidt-Erfurth U.
Effizienzoptimierte Mikrophakoemulsifikation: Theoretische Betrachtungen und jüngste Entwicklungen. Hintere Kapsulorhexis mit Einknöpfen der Linsenoptik: Eine Alternative zur Kapselsackimplantation scharfkantiger Linsen? Kapselchirurgie und Linsenwahl: Leitlinien zur Nachstarvermeidung. 140. Zehetmayer M, Skorpik C, Menapace R, Dejaco-Ruhswurm I.
Nadelsapiration, Endolaser und Kryotherapie bei epithelialer Einschlusszyste in der Vorderkammer. Hintere Kapsulorhexisöffnung mit Einknöpfen der Optik: Alternative zur Kapselsackimplantation scharfkantiger Linsen? Einknöpfen der Linsenoptik in eine primäre hintere Kapsulorhexisöffnung. Akkommodative IOLs: Mythen, Fakten, und Zukunftsperspektiven. Akkommodative IOL - Was leisten sie heute, was bringt die Zukunft? Teil II. Kleine Schnitte und Mikroinzisionen - was bringen sie wirklich? 134. Pieh S, Schmidinger G, Simader C, Franz C, Geitzenauer W, Kriechbaum K, Menapace R, Skorpik C.
Sehschärfe in unterschiedlichen Abständen einer akkommodierenden und einer monofokalen Intraokularlinse. 133. Vock L, Georgopulos M, Sacu S, Bühl W, Findl O, Menapace R.
Eigenschaften der hydrophilen Acryllinse Corneal ACR6D SE. 132. Sacu S, Menapace R, Bühl W, Rainer G, Wirtitsch M, Köppl C, Kriechbaum K, Findl O. Der Einfluss der Intraokularlinsendesigns mit zwei Intraokularlinsenmaterialien auf den fibrotischen Nachstar. The capsular tension ring: designs, applications and techniques. 129. Georgopoulos M, Menapace R, Findl O, Rainer G, Schmetterer K, Vass C.
Primäre posteriore Kapsulorhexis: Einfluss der retrokapsulären Viskoelastikagabe auf den Augeninnendruckverlauf. 128. Rainer G, Menapace R, Schmetterer K, Vass C, Findl O, Georgopulos M.
Der postoperative Augendruck in der Kleinschnitt-Kataraktchirurgie: ein Vergleich zwischen Dorzolamid und Latanoprost. 127. Barisani-Asenbauer T, Kaminski S, Steiner G, Dietrich A, Simonitsch I, Menapace R.
Primary circular B-cell lymphoma of the iris masquarading as anterior uveitis. Der Kapselspannring: Update der Anwendungsmöglichkeiten und Implantationstechniken. 125. Zehetmayer M, Menapace R, Strenn K, Kitz K, Ertl A.
Stereotaktische Radiochirurgie von grossen Ziliarkörpermelanomen mit dem Leksell Gamma Knife. 124. Schranz R, Lakits A, Scholz U, Friedl HP, Prskavec MF, Zehetmayer M, Menapace R.
Beeinflussen andere Faktoren als der histologische Typ die Überlebensdauer nach Enukleation wegen eines malignen Aderhautmelanoms? Primäres Offenwinkelglaukom (Standards in der Ophthalmologie). 122. Radner W, Menapace R, Zehetmayer M, Mallinger R.
Die Auswirkung der Inzisionsbreite auf das Gewebetrauma an der Hornhaut nach der Implantation einer faltbaren PhacoFlex II. 121. Strenn K, Zehetmayer M, Grössing A, Menapace R, Rainer G.
Pigmentierte Bindehauttumore: Befunde und Verlaufsbeobachtungen 1986-1995. 120. Rainer G, Vass C, Annen D, Menapace R.
Vergleich der hornhauttopographischen Veränderungen nach temporaler und temporal-oben geschnittener 3mm Clear-corneal Inzision. 119. Vass C, Menapace R, Strenn K, Steineck I.
Präoperative Berechnung des Kapselsackdurchmessers mittels multipler Regressionsanalyse. 118. Findl O, Drexler W, Menapace R, Bittermann S, Fercher AF. Hochpräzisionsbiometrie pseudophaker Augen mittels Teilkohärenzlaserinterferometrie. 117. Zehetmayer M, Georgopoulos M, Skorpik Ch, Menapace R, Findl O, Radner W, Barisani T.
Klinische Ergebnisse nach Implantation von Collamer-Intraokularlinsen in den Kapselsack: 10-Monatsresultate. 115. Strenn K, Menapace R, Vass C.
Kapselsackschrumpfung und Entwicklung der Vorderkammertiefe nach Implantation eines Kapselspannringes und einer faltbaren Silikonlinse mit offenen Bügeln. 114. Weghaupt H, Pieh S, Wedrich A, Menapace R.
Einfluss der Trabekulektomie bei kombinierter Katarakt- und Glaukomoperation auf die postoperative Vorderkammertiefe. 113. Menapace R, Vass C, Hirch U, Strenn K.
Eine einfache, sichere und stabile Alternative zur „Frown-Inzision“ für die Implantation von PMMA-Linsen mit grosser Optik. 112. Vass C, Menapace R, Rainer G, Strenn K.
Vergleich der hornhauttopographischen veränderungen nach 3mm Clear-corneal Inzision mit und ohne 0.7mm tiefem Vorschnitt. Aktuelle Wundkonstruktionen: Indikation, Technik, Deformationsresistenz und Hornhautkurvaturänderung. 110. Amon M, Menapace R, Radax U, Freyler H.
Der Einfluss unterschiedlicher Oberflächeneigenschaften intraokularer Implantate aus PMMA auf deren Biokompatibilität. 109. Menapace R, Zehetmayer M.
Einsatz des Kapselspannringes im Rahmen von Phakoemulsifikation und Linsenimplantation nach durchgreifender Resektion eines Ziliarkörpertumors. 108. Vass C, Menapace R, Strenn K.
Induzierte korneale topographische Veränderungen nach „Frown-Inzision“. Clear-Cornea Chirurgie und Tropfanästhesie - Ein Fortschritt? 105. Vass C, Menapace R.
6mm sklerokornealer Tunnelschnitt: Untersuchung der durchschnittlichen induzierten kornealen topographischen Veränderungen. 104. Zehetmayer M, Menapace R.
10 Jahre Kontaktbestrahlung von uvealen Melanomen mit Ruthenium-106. 103. Zehetmayer M, Radax U, Skorpik C, Menapace R, Schemper M, Weghaupt H, Scholz U.
Tropfanästhesie bei Kataraktoperation via „Clear-Cornea Incisions“. Irisretraktoren - Die Lösung des Problems der engen Pupille. 101. Menapace R, Radax U, Vass C, Amon M, Papapanos P.
In-the-bag implantation of the PhacoFlex SI-30 high-refractive silicone lens through self-sealing sclerocorneal and clear corneal incisions. 100. Pfleger T, Papapanos P, Skorpik C, Menapace R, Weghaupt H.
Erste Ergebnisse des postoperativen Astigmatismusverlaufes nach „Clear Cornea Incision“ ohne Naht. 99. Papapanos P, Menapace R.
Persistent total in-the-bag hematoma requiring Nd:YAG laser capsulotomy. Reduced incision size with high-refractive-index lens. 97. Zehetmayer M, Menapace R.
Teletherapie von Aderhautmelanomen am hinteren Pol mit beschleunigten Protonen. Trabekulektomie mit Mitomycin C bei therapierefraktärem Glaukom. 95. Vass C, Menapace R, Amon M.
Kontrastsensivität und Blendungsempfindlichkeit von Intraokularlinsen mit 5mm und 7mm Optikdurchmesser. 94. Amon M, Menapace R, Radax U, Papapanos P, Vass C.
Klinisch-morphologische Ergebnisse mit drei unterschiedlichen PMMA-Hinterkammerlinsen für die Kleinschnitt-Kataraktchirurgie. 93. Amon M, Menapace R.
Die Bedeutung der Hydrodesintegration und Mobilisation der Linse in der Kataraktchirurgie. 92. Skorpik C, Menapace R.
91. Menapace R, Skorpik C.
Unblutige Kataraktchirurgie - Technik und Implantationssysteme. Glaucoma triple procedure with small-optic PMMA lenses using a temporary self-sealing incision. Exchange of IOGEL hydrogel lens for PMMA implant: Indications and technique. 88. Weghaupt H, Menapace R, Wedrich A. 87. Pfleger T, Skorpik C, Menapace R, Bertel K.
Ein computerunterstütztes System zur Verwaltung prä- und postoperativer Daten bei Kataraktoperationen. 86. Menapace R, Radax U, Amon M, Papapanos P.
No-stitch cataract surgery with flexible IOLs: rationale, technique and results. 85. Amon M, Menapace R, Skorpik C.
Cellular reaction on the surface of silicone-disc posterior chamber lenses implanted in-the-bag. 84. Amon M, Menapace R, Papapanos P, Radax U, Vass C.
83. Papapanos P, Wedrich A, Pfleger T, Menapace R, Amon M, Radax U.
Aqueous humor outflow changes after YAG laser posterior capsulotomy with or without local steroid therapy. 82. Radax U, Menapace R, Rigal K, Papapanos P, Amon M.
Vergleich der drucksenkenden Wirkung und des Nebenwirkungsprofils nach transskleraler cwNd:YAG Hemizyklophotokoagulation und Hemizyclokryotherapie bei medikamentös nicht einstellbarem chronischen Offenwinkelglaukom. 81. Papapanos P, Menapace R, Amon M, Radax U.
Astigmatismusverlauf nach Kleinschnitt-Kataraktchirurgie ohne Naht mit flexiblen und small-optic PMMA Linsen. 80. Papapanos P, Wedrich A, Pfleger T, Menapace R, Amon M, Radax U.
Aqueous humor outflow changes after YAG laser posterior capsulotomy with and without local steroid therapy. 79. Radax U, Menapace R, Papapanos P.
In-the-bag hyphema: A complication after cataract and glaucoma triple surgery. 78. Papapanos P, Amon M, Menapace R.
Abrasio of foreign-body giant cells on intraocular lenses using the YAG laser. 77. Papapanos P, Menapace R.
Management of a persistent total in-the-bag hematoma with Nd:YAG laser capsulotomy. 76. Amon M, Menapace R, Papapanos P, Radax U. Clinical evaluation of unflexible small-optic IOLs. 75. Papapanos P, Menapace R, Radax U, Amon M.
Elimination of early postoperative astigmatic peak: An advantage of no-stitch small-incision cataract surgery. 74. Papapanos P, Menapace R, Amon M, Radax U.
Astigmatismus nach Ohne-Naht-Chirurgie mit 4mm und 5.2mm Wundschnittweite. 73. Vass C, Amon M, Menapace R.
Einfluss der Zellbesiedelung von Intraokularlinsen auf die Kontrast- und Blendungsempfindlichkeit. 72. Radax U, Menapace R.
Klinische Ergebnisse nach transkonjunktivaler cw-Nd:YAG Zyklophotokoagulation von medikamentös nicht einstellbaren Offenwinkelglaukomen und therapierefraktären Glaukomen unterschiedlicher Genese. 71. Papapanos P, Menapace R, Amon M, Radax U. Changes in aqueous humor outflow facility after different procedures in simplex glaucoma: Evaluation with the suction cup oculopressor by Ulrich. Intraokularlinsen für die Implantation durch kleine Inzisionen. 69. Amon M, Menapace R.
Biocompatibility of different IOL materials. Neuere Entwicklungen in der Kataraktchirurgie. 67. Papapanos P, Radax U, Amon M, Menapace R.
Das Abflussverhalten nach Hemizyklokryotherapie bei Patienten mit Glaucoma chronicum simplex. Beobachtungen mittels der Okulopressionstonometrie nach Ulrich. Malignant glaucoma following in-the-bag implantation of a taco-style hydrogel intraocular lens. A closed-system approach to vitrectomy and transscleral suture fixation of a PCL during keratoplasty. 64. Radax U, Menapace R, Papapanos P, Amon M.
Hemizyklokryotherapie bei medikamentös nicht einstellbarem Glaucoma simplex. 63. Amon M, Menapace R.
In-vivo observation of surface precipitates on 200 consecutive hydrogel IOLs. 62. Amon M, Menapace R, Papapanos P, Radax U.
YAG-Laser Abrasio von Fremdkörperriesenzellen auf Kunstlinsenoberflächen. 61. Papapanos P, Menapace R, Radax U, Amon M, Pfleger T.
Verlauf des Astigmatismus nach Kleinschnitt-Kataraktchirurgie ohne Naht. 60. Menapace R, Freyler H, Amon M, Radax U, Papapanos P.
Techniken und Ergebnisse der transskleralen Nahtfixation von Hinterkammerlinsen im Sulcus ciliaris. 59. Papapanos P, Menapace R, Radax U, Amon M.
Photokeratometric analysis following small-incision cataract surgery. 58. Papapanos P, Menapace R.
Transscleral suture fixation of a posterior chamber lens in the ciliary sulcus of a patient with Marfan Syndrome. 57. Wedrich A, Papapanos P, Radax U, Menapace R, Amon M.
Long-term efficacy of combining cataract extraction and lens implantation with a filtering procedure. Aktueller Stand der Implantation flexibler Intraokularlinsen. Technik und Vorteile der Kataraktchirurgie ohne Naht. 53. Yalon M, Menapace R.
Deposits found embedded in hydrogel IOLs. 52. Freyler H, Menapace R, Papapanos P.
Trabekulektomie - Eine retrospektive Studie zur Frage der Frühtrabekulektomie. 51. Menapace R, Radax U, Amon M, Papapanos P.
Kleinschnitt-Kataraktchirurgie ohne Naht: Bericht über 100 konsekutive Fälle. "M-Procedure" - "Modified corneal triple procedure" using a temporary keratoprosthesis for closed-system, small-incision cataract surgery. 49. Skorpik C, Menapace R, Juchem M, Grasl M, Rheinberger A. Die operative Behandlung von proliferativer diabetischer Retinopathie - Erfahrungen 1986-1989. Corneal valve incision for self-sealing surgery. 47. Weghaupt H, Menapace R.
Postoperative Vorderkammertiefe nach Implantation unterschiedlicher IOGEL pHema Hinterkammerlinsen (Typ PC-12 und 1103). Technik der modifizierten Triple-Prozedur mit temporärer Keratoprothese und Kleinschnittkataraktchirurgie im geschlossenen System. 45. Wedrich A, Menapace R.
Die Sickerkissenfistel – Eine Spätkomplikation nach erfolgreicher Glaukomoperation. 44. Vass C, Menapace R, Gottlob I.
Veränderungen des Helligkeits-Elektroretiongrammes bei Patienten mit Glaucoma chronicum simplex. 43. Amon M, Menapace R, Papapanos P, Radax U.
Das Verhalten Der Abflussleichtigkeit nach Argonlasertrabekuloplastik bei Glaucoma simplex. Wirkungsnachweis der ALT mittels der Okulopressionstonometrie nach Ulrich. 42. Menapace R, Skorpik C, Amon M, Radax U.
Technik und Ergebnisse der Kleinschnitt-Kataraktchirurgie bei gleichzeitiger Trabekulektomie und Keratoplastik („Modifizierte Triple-Prozeduren“). Corneal triple with temporary keratoprosthesis. Indikation, Technik und Ergebnisse der hochdosierten Kontaktbestrahlung von Aderhautmelanomen mittels Ruthenium-106 Applikatoren. 39. Grasl M, Schranz R, Skorpik C, Menapace R, Scheidel W.
Ein neues geführtes Trepanationssystem (GTS) für die perforierende Keratoplastik. Morphologische Aspekte und erste klinische Erfahrungen. 38. Amon M, Menapace R, Wedrich A, Radax U.
Aspekte der Betreuung von Glaukompatienten und deren Auswirkung auf die Compliance. 37. Skorpik C, Menapace R, Grasl M, Amon M.
Erfahrungen mit der Implantation von lochlosen PMMA-Hinterkammerlinsen mit 7-mm-Optik und eingesetzten Bügeln. 36. Menapace R, Skorpik C, Grasl M.
A modified triple procedure using a temporary keratoprothesis for closed-system small-incision cataract surgery. 35. Menapace R, Skorpik C.
Technik der Kleinschnitt-Implantation und Kapselsackfixation für die flexible pHema-Linse IOGEL PC-12. 34. Menapace R, Skorpik C, Wedrich A.
Eignung der flexiblen pHema-Linse IOGEL PC-12 für die Sulkus- und Kapselsackfixation. Bericht über 200 Fälle. 32. Menapace R, Binder W, Chiari A. Distribution of activity in Ruthenium-106 eye-applicators. 31. Wedrich A, Menapace R, Amon M, Radax U.
Langzeitergebnisse der kombinierten Glaukom-Kataraktoperation mit Implantation einer Hinterkammerlinse. 30. Stelzer N, Menapace R, Funder J. 29. Skorpik C, Menapace R.
Über die Technik der Implantation flexibler Hinterkammerlinsen durch eine kleine Wundöffnung. 28. Radax U, Menapace R, Amon M, Wedrich A. 27. Amon M, Menapace R, Radax U, Wedrich A, Skorpik C.
Langzeitergebnisse Der Argonlasertrabekuloplastik bei medikamentös nicht einstellbarem Glaucoma simplex. 26. Menapace R, Gnad HD, Skorpik C.
Excision of a choroidal melanoma following unsuccessful ruthenium-106 irradiation. 25. Menapace R, Skorpik C.
Sulcus-Implantation von pHEMA- (IOGEL-)Linsen durch die Phakoemulsifikationsöffnung: Erste Erfahrungen. 24. Skorpik C, Menapace R.
23. Menapace R, Skorpik C.
22. Juchem M, Skorpik C, Menapace R, Gnad HD. Schätzung der postoperativen Vorderkammertiefe bei Implantation von Hinterkammerlinsen aus PMMA und Silikon. 21. Skorpik C, Menapace R, Scheidel W, Hienert I, Grasl M.
Die Kapselsackimplantation von Kunstlinsen aus Silikonmaterial - Implantationstechnik und Ergebnisse. 20. Skorpik C, Menapace R, Juchem M, Grasl M.
Ergebnisse bei Sulcus ciliaris Implantation von Silikon-Hinterkammerlinsen mit offenen Bügeln. 19. Skorpik C, Menapace R, Juchem M.
Ersterfahrung mit der Implantation von STAAR- Silikonlinsen. 18. Freyler H, Menapace R.
Ist die Erblindung an Glaukom vermeidbar? Analyse 121 trotz Therapie erblindeter Glaukomaugen. 17. Menapace R, Skorpik C, Juchem M, Scheidel W, Schranz R.
Kleinschnitt-Technik in der Kataraktchirurgie: Implantation flexibler pHEMA-Hinterkammerlinsen über die Phakoemulsifikationsöffnung. 16. Menapace R, Skorpik C, Freyler H, Funder J, Stelzer N.
Wirksamkeit und Verträglichkeit eines zweimal täglich zu applizierenden Timolol-Pilocarpin-Kombinationspräparates. Small-incision implantation of the IOGEL posterior chamber lens. 14. Gelvez de Martinez RM, Skorpik C, Menapace R, Braunsteiner W, Osorio RR. Valor de la Betaterapía en los Melanomas Conjunctivales. 13. Menapace R, Skorpik C.
12. Skorpik C, Gnad HD, Paroussis P, Menapace R, Grasl M.
Ergebnisse bei perforierender Keratoplastik mit gleichzeitiger Linsenimplantation. 11. Juchem M, Skorpik C, Menapace R, Gnad HD. 10. Skorpik C, Menapace R, Gnad HD, Hienert I, Scheidel W, Grasl M.
Implantation von Silikon-Hinterkammerlinsen : Ergebnisse und Komplikationen. 9. Menapace R, Skorpik C, Gnad HD. Ergebnisse nach einzeitiger Implantation von Molteno-Einplatten-Drainagesystemen bei therapierefraktären Sekundärglaukomen. 8. Menapace R, Gnad HD, Skorpik C, Binder W.
Exsudative Begleiterscheinungen der Bestrahlung höher prominenter Aderhautmelanome mit Ruthenium-106 Applikatoren. 7. Paroussis P, Gnad HD, Skorpik C, Kulnig W, Menapace R.
6. Binder S, Skorpik C, Paroussis P, Menapace R.
Inhibition of Experimental Intraocular Proliferation and Retinal Re-detachment by Varoius Drugs. 5. Skorpik C, Paroussis P, Menapace R, Gnad HD. Trabeculoplasty in open-angle glaucoma. Results one year after treatment. 4. Binder S, Skorpik C, Paroussis P, Menapace R.
3. Skorpik C, Gnad HD, Menapace R.
Meteorologische Einflüsse auf das Anfallsgeschehen bei akutem Winkelblockglaukom. 2. Hohenberg G, Kärcher KH, Menapace R.
Ein kasuistischer Beitrag zur Radiotherapie des Aderhautmelanoms. 1. Menapace R, Gnad HD, Binder W.
Goldkornspickung eines Aderhautmelanoms bei infaustem Zweitmalignom. 7. Effect of anterior capsule polishing on capsule opacification and YAG laser capsulotomy. 6. Effect of anterior capsule polishing on after-cataract and posterior capsule opacification. 5. Nishi O, Nishi K, Menapace R.
4. Zuberbühler B, Haefliger E, Menapace R, Neuhann Th. 3. Findl O, Menapace R, Kriechbaum K, Koeppl C, Drexler W.
2. Zehetmayer M, Menapace R, Kitz K, et al. 1. Zehetmayer M, Menapace R, Kitz K, Ertl A. Experiences with a suction system for stereotactic radiosurgery of intraocular tumors. Stereotactic and Functional Radiosurgery. 7. Der Femtosekundenlaser in der Kataraktchirurgie: Eine kritische Betrachtung. 6. Pseudoexfoliationssyndrom und Kataraktchirurgie: Vermeidung und Behandlung von Komplikationen.